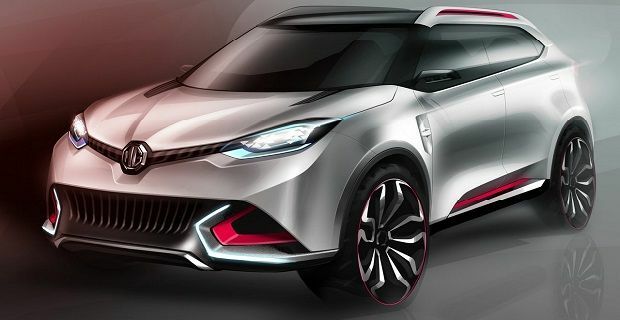 MG has released this dynamic image of the MG CS Concept, which will be shown at the upcoming Auto Shanghai. The British brand’s marketing department are calling the car, “a stunning MG urban SUV concept,” which suggests that this new machine will be more at home on the road than off it. They go onto say that it’s “designed to slot into the compact SUV market,” so it will be competing with vehicles like the new Chevrolet Trax and the Vauxhall Mokka. MG has also made the claim that the sector, which some firms call the SUV-B sector, is “one of the fastest growing areas of the global automotive market where style and sports utility dominate fashion trends.” In 2012, this segment of the market saw 264,000 sales, so perhaps they are right on the money. The new machine is MG’s first urban SUV. The firm has been toying with the idea of adding one to their line up for a while now. The Icon Concept proved their intentions when it was shown at last year’s Beijing Motor Show. That car featured retro styling, but the CS is far more contemporary. The new machine has an angular front-end and aggressive bumpers, both of which are in keeping with the brand’s MG3 supermini, which is also expected to be shown at Shanghai. The new car was designed by the firm’s Global Design Director, Anthony Williams-Kenny and is expected to “expand the global reach of the MG brand.” When it begins production, the new machine’s expected to utilise the MG5’s platform and come with a 1.5 litre turbo engine, which allows it to avoid Chinese taxes charged for larger capacity engines. The firm has not yet confirmed if their SUV will be sold in the UK or the rest of Europe. Perhaps that information will be part of the CS’s launch in Shanghai.